MC2 not only silences boiler noise, but also protects central heating. Its active ingredients help restore smoother function to the system. The overall result is a quieter, more efficient boiler, which helps keep energy bills and maintenance costs down. 500ml bottle will provide effective treatment for a typical 100 litre/ten radiator system. For larger or heavily fouled systems, use further MC2 as required. To introduce MC2 to the system, we recommend using the MagnaClean® canister to dose the system. Alternatively, dose via a radiator or the F&E tank. 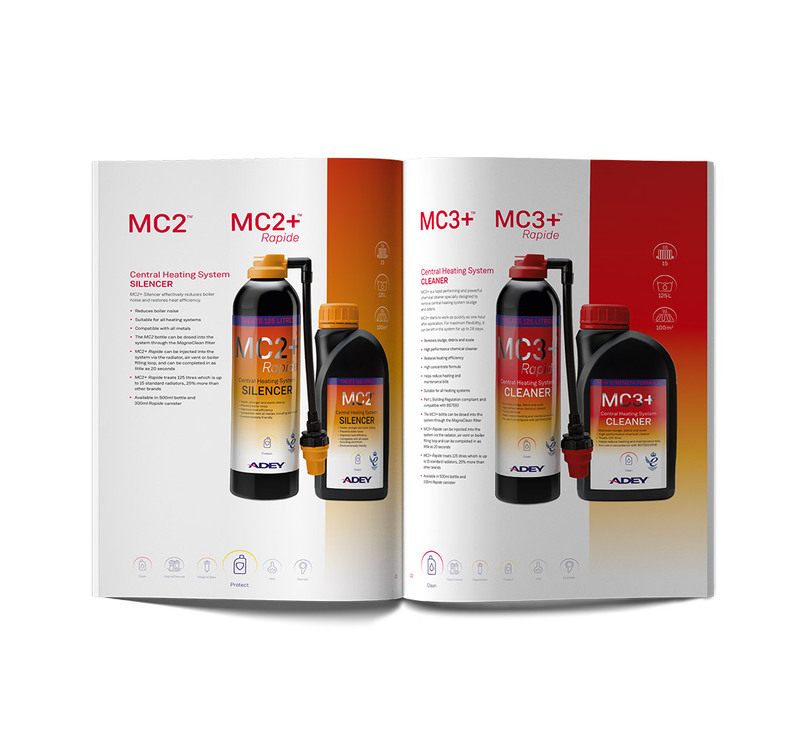 For long-term system protection, use MC2 Silencer in conjunction with ADEY’s MC1 Protector. Also available in the following sizes: 300ml, 5L, and 10L.